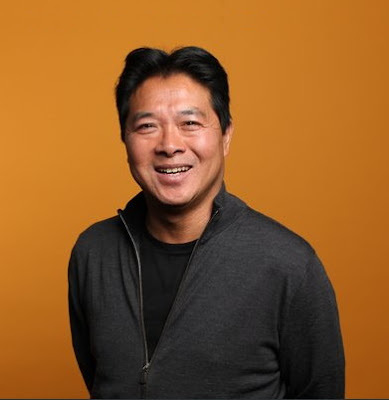 Peter Chiang is co-founder of DNEG and a prolific and critically acclaimed Visual Effects Supervisor. He is one of the leaders in his field with over 30 years experience in the industry. Peter has recently completed work on ‘Pacific Rim: Uprising’ as Overall VFX Supervisor. He previously oversaw all VFX work on Ridley Scott’s ‘Exodus: Gods and Kings’ and Justin Lin’s ‘Star Trek: Beyond’. Starting out as a graphic artist, animator and later visual effects art director, he moved quickly into visual effects supervision on films including ‘Pitch Black’ (DNEG’s first project), ‘Enemy at the Gates’, ‘Chronicles of Riddick’, ‘Flyboys’, the acclaimed ‘United 93’, ‘The Bourne Ultimatum’, ‘Green Zone’, ‘John Carter’, ‘Total Recall’ and Gareth Edward’s ‘Godzilla’ re-boot. We are DNEG, one of the world's leading visual effects, animation and stereo conversion companies for feature film and television, with studios in London, Vancouver, Mumbai, Los Angeles, Chennai and Montréal. Since the opening of our first studio in London in 1998 we’ve always focused on building close working relationships with filmmakers. We thrive on the collaboration and the creative energy this provides, and we are dedicated to delivering excellence on every project we are involved with. We’ve brought home the Oscar for ‘Best VFX’ for three out of the last four years. In total, we’ve been honoured with 4 Academy Award wins, 4 BAFTA Awards and 8 Visual Effects Society Awards for our visual effects work on shows like ‘Blade Runner 2049’, ‘Dunkirk’, ‘Ex Machina’, ‘Interstellar’, ‘Inception’ and ‘Harry Potter and The Deathly Hallows Part 2’. 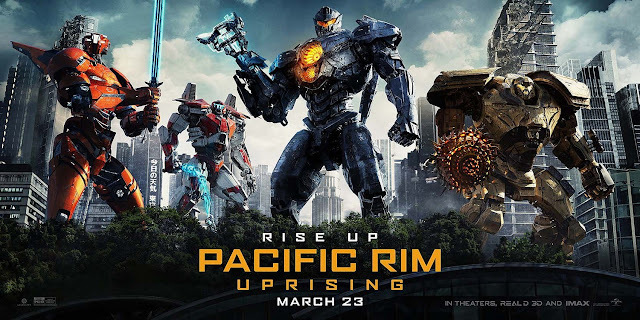 Pacific Rim Uprising is a 2018 American science fiction film directed by Steven S. DeKnight (in his feature-film directorial debut), and written by DeKnight, Emily Carmichael, Kira Snyder, and T.S. Nowlin. It is the sequel to the 2013 film Pacific Rim, with Guillermo del Toro, the director of the original, serving as a producer. The sequel stars John Boyega (also making his producer debut), as well as Scott Eastwood, Cailee Spaeny, Jing Tian, Adria Arjona, and Zhang Jin, with Rinko Kikuchi, Charlie Day, and Burn Gorman returning from the original film. Set in the year 2035, the plot follows humanity again fighting Kaiju, the giant monsters set on destroying the world. Principal photography began in November 2016 in Australia. The film was released in the United States on March 23, 2018, by Universal Pictures, in 2D, Real D 3D, IMAX 3D, and IMAX, and grossed $290 million worldwide. It received mixed reviews from critics; with some calling the film inferior to del Toro's and criticizing the scope, pacing, story, as well as the absent characters from the previous film and the underdeveloped new characters, while others praised the visual effects and performances of Boyega and Spaeny. Founded in London in 1998, DNEG has grown to become one of the industry’s biggest success stories, bringing home the Oscar for Best VFX three times in the last four years.